This article is the second part of Friends of North Korea. In April this year, South Africa's Deputy Minister of Police; Maggie Sotyu attended the centenarry celebrations of the birth of Kim Il Sung at the North Korean embassy in Pretoria. Kim Il Sung is the deceased 'Great Leader' of North Korea who still holds the title of 'Eternal President' even though he has been in his grave for 18 years. The Deputy Minister of Police compared the dead dictator to Nelson Mandela, stating that both are the father of their respective nations and that the "similarities mentioned of these two great nations extend beyond symbolic boundaries or gestures. They are deeply embedded in our existence and our history as respective nations." She went on to say that "it must never come as a surprise to antagonists and ill-informed critics when they question the relationship the democratic South Africa has with the Democratic People's Republic of Korea. Both RSA and (the) DPRK share fundamental values of revolutionary principles for liberation, people's welfare and sovereignty of people and country." A country where hundreds of thousands or now in death camps and labour camps and where experimental biological weapons are tested on live subjects, including entire families at a time in glass cages. A place where the people are almost walking skeletons and millions have died from famine. Selling food can get you arrested in this great nation. The Deputy Minister concluded; "let me re-affirm on behalf of our ANC-led Government, that South Africa continues to avail herself the opportunity to renew to the Democratic People's Republic of Korea the assurance of our highest consideration to cooperate and partner for the sake of all our peoples' livelihood and our countries' prosperity, respectively." Friendly relations with North Korea are not only limited to the ANC and government but also include the ANC Youth League who have said they "unapologetically support North Korea." Earlier this year, representatives of the ANC Youth League visting North Korea in an official capacity for their organisation referred to South Korea as a 'puppet regime' of American imperialism. The ANCYL regards the system of North Korea as 'just and equitable' and of being one of 'freedom'. This is a place where saying anything against the state or in contravention of its policies could lead to public execution by firing squad or a death camp. A land where people are required to have 'self-cristicism' meetings every week in order to list all their failings in front of their friends and family so that everyone can openly condemn each other and create a further atmosphere of distrust and paranoia. This is a place of freedom where the televisions have one TV channel which loops military parades over and over again and only broadcasts government programs with blurred visuals of the outside world. The ANCYL went on to say that said Kim Jong-il saved his people from joblessness, homelessness and poverty. 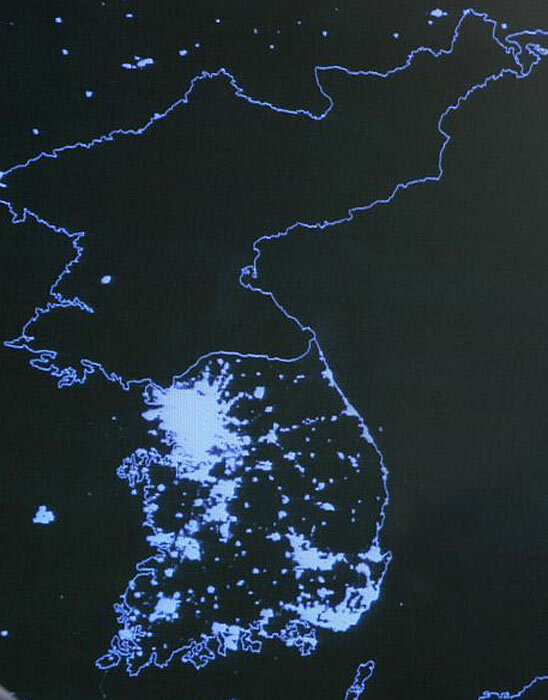 North Korea is a country which has had one of the worst famines in recent history, killing millions and leading to the stunted growth of an entire generation. North Koreans are now on average considerably shorter than South Koreans even though there are no genetic differences between North and South Koreans. People literally eat grass in this place and most people only have one pair of clothes. However, even after reading these examples and those listed in the previous article, there will of course still be apologists for Communism. It is after all the perfect system........for a dictatorship or one-party state. An impoverished and hungry population is more pliable and easier to control because the Party controls the food source. Wealthy corporations, businesses and businessmen can fund resistance and opposition to government so are therefore a threat to totalitarian rule. The remedy for this is to abolish private ownership or impose severe limits and taxes. That way, everyone owns almost nothing and is poor. The state then controls all the wealth and can reward its followers accordingly. This allows the state to have better leverage over the population. The result is that the state controls all food and wealth. The state therefore has the monopoly on all wealth. Your life, wellbeing and chance of education are then totally in the hands of the Party. The ideal Communist is a person who is expected to accept their lot in life, not expect much, endure their work and to strive to contribute resources and materials to better the state. The individual does not matter, but rather the collective and the well-being of the state. Communism is the ultimate system for a dictator or cabal to rule with absolute control and no accountability over a dumbed-down and poor population. Great information, You write about south Africa's nation in this site. I am fully read it. I am wonder after reading it.